Wild pigs have a bad reputation locally for being dangerous, raiding garbage, damaging crops and giving local police officers the runaround. But a team of six Hongkongers are fighting to challenge public misconceptions about the city’s largest wild animal. “Wild boars have been demonised by hunters, local media and people who misunderstand them. In fact, if you don’t provoke them, they will not attack you. 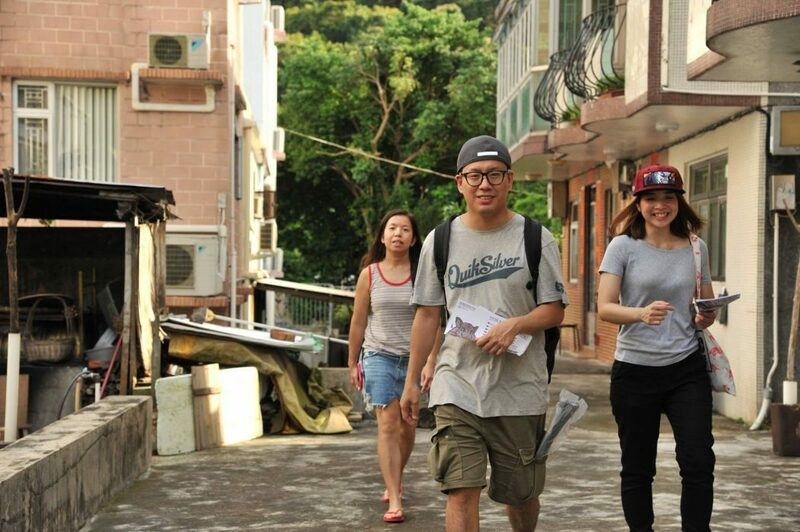 They are actually afraid of people,” surveyor and animal rights activist Roni Wong told HKFP. 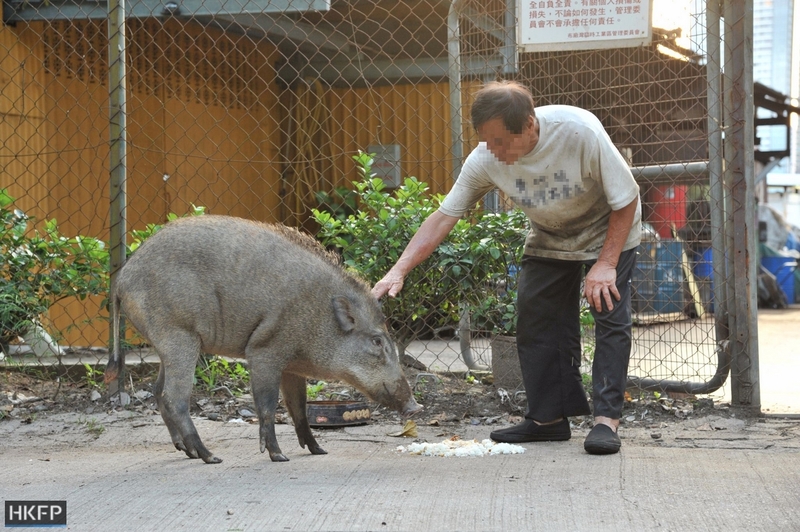 An animal lover, Wong has always paid attention to news reports of the authorities catching wild pigs. He noticed that there was no channel to express his concern with the government’s handling of the animals. 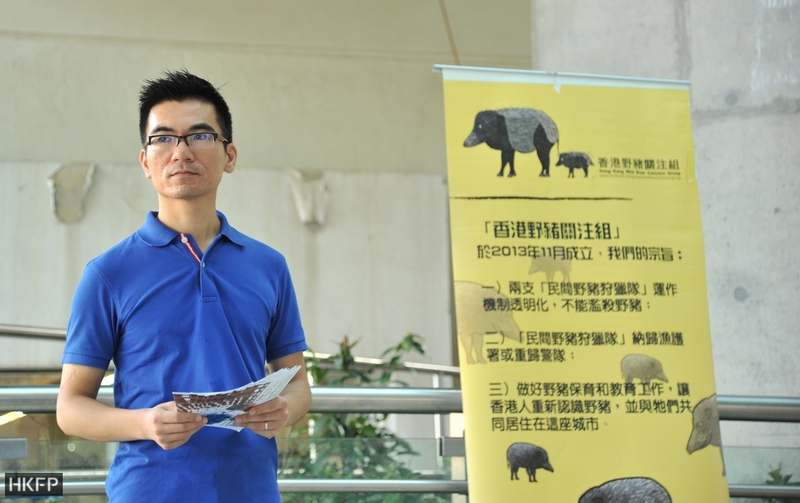 He eventually founded the Wild Boar Concern Group in 2013 with a friend after they stumbled across a citizen-led wild boar hunting team in Tai Wai. They intervened and prevented the killing. Since then, the group has been calling for the abolition of the hunting teams, arguing that the operations are ineffective, unsafe to people and cruel to the animals. 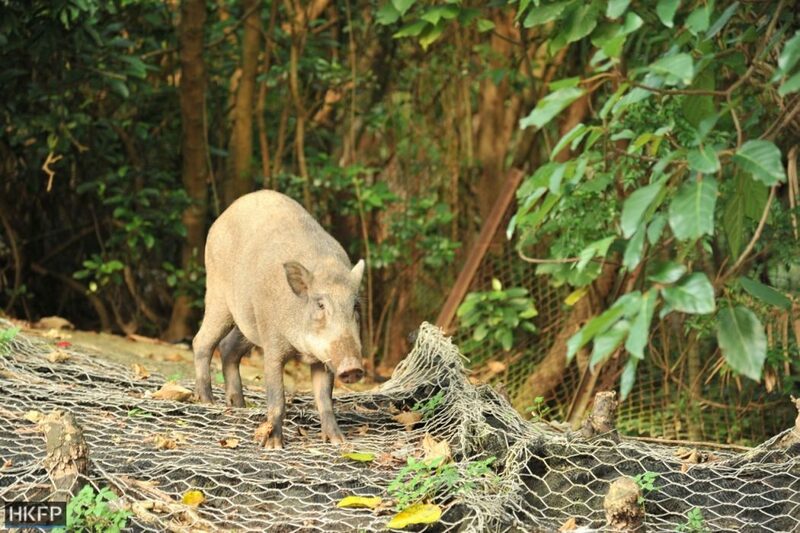 Though wild boars are native to Hong Kong and found across the territory, they are not protected under the law. The AFCD advises people to alert the police when they fear the animals may threaten their safety or property. But Wong criticised the government’s approach for being counterproductive, as police intervention often frightened the animals and led to chaos. 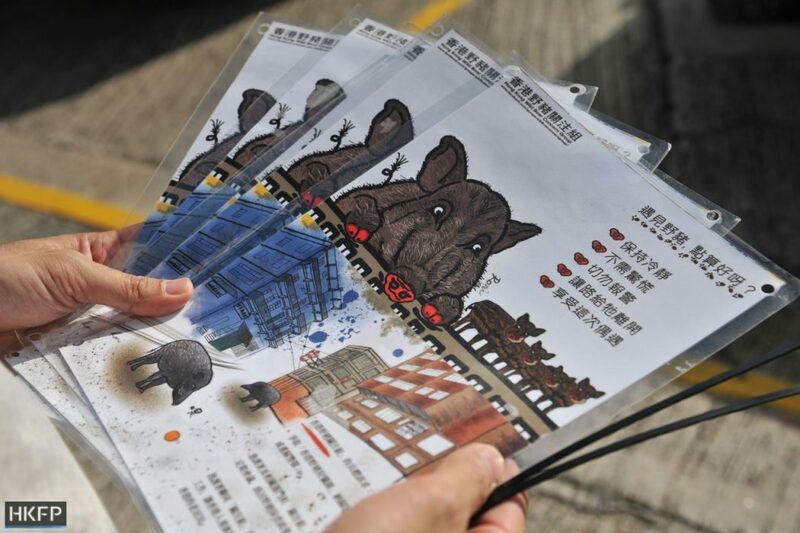 Wong designed leaflets on what to do when wild boars are sighted. Photo: HKFP/Arthur Lo. 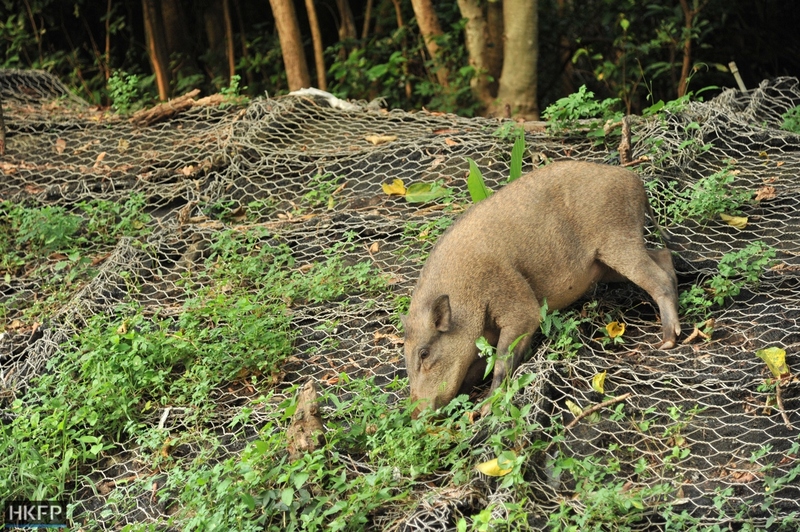 The group advocates co-existence with wild pigs. It says many instances of human-wildlife conflict can be prevented, such as by removing food sources near residences. A common measure seen in villages is building enclosures around garbage bins. It is the practice of feeding wild pigs that the activists find more difficult to eradicate. One of the concern group members, Ying Ho, has spent around two years mitigating the problem in her neighbourhood. Ho lives in Tai Wai, near where Wong intervened in the 2013 hunting operation. She knew some residents had been feeding wild pigs and decided to take action because she thought the government was being unfair to the animals. “Some people left food for wild pigs and dirtied the environment, and then others complained that wild pigs caused hygiene problems even though the issue was actually with the feeders. So I cleaned up after them every night after work for two years,” she said. Ho said the problem eventually subsided after surveillance cameras were installed in the area. Ying Ho. Photo: HKFP/Arthur Lo. Next, Ho had to step in when an elderly resident decided to stop feeding wild pigs out of fear of prosecution by AFCD officers. “I was worried that the wild pigs would wander near residences if the feeding halted suddenly,” she said. She took over the job and gradually decreased the frequency of feeding to help the animals transition back to the wild. She did it for around a year and was able to tell different herds apart. One day, several villagers told her that they heard four gunshots at night. After the incident, two young wild pigs went missing. Ho suspected some villagers had killed the animals for food, as such occurrences are not uncommon in rural areas. “I was very sad,” she said. She added that her activism contributed to her decision to quit eating meat. Ho is not the only one in the group who believes in greater animal rights. Wong runs another group against dolphin captivity, while another member Mark Mak leads the Non-profit-making Veterinary Clinic and is an outspoken critic on animal rights issues. “Many people misunderstand that coexistence with wild pigs means spoiling and hugging them,” Ho said. Wong said that in the past, opponents of killing or relocating wild pigs were usually villagers in affected areas. 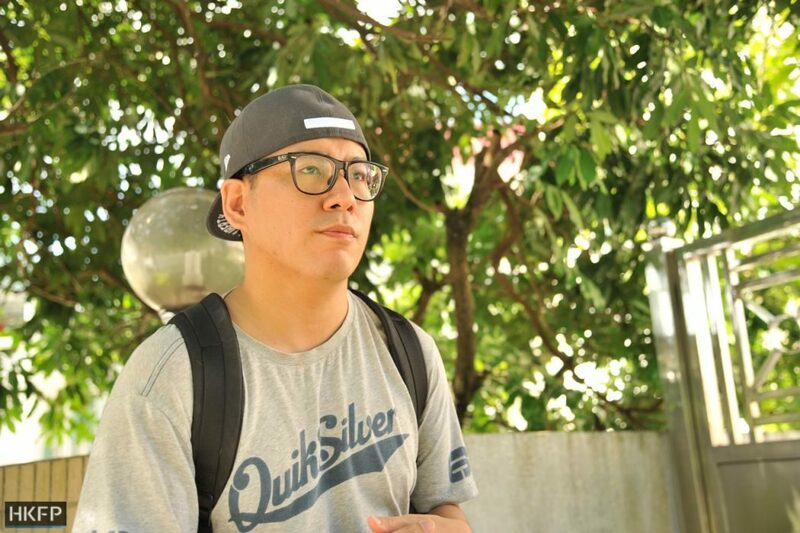 But since his group came into existence, Wong has noticed a higher level of awareness among Hongkongers in general over the issue. Last November, the AFCD’s decision to cull wild pigs in Pik Uk village sparked a public outcry and led to intervention by lawmakers. The plan was eventually called off. While it may be good news that more Hongkongers are sympathetic towards the animals, Wong said he has seen the rise of another “extreme” attitude in the past two years. “Some people think wild pigs are cute and can become pets. They feed and visit them – I think this has crossed the line,” Wong said. 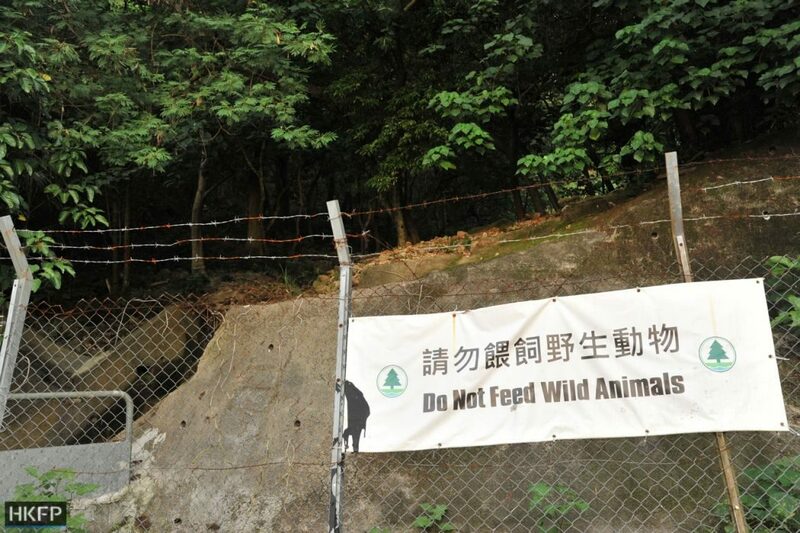 But sometimes it is not easy to convince people to give up feeding wild animals. Though the AFCD displays public banners advising against the practice, the activists believe more must be done to educate the public. 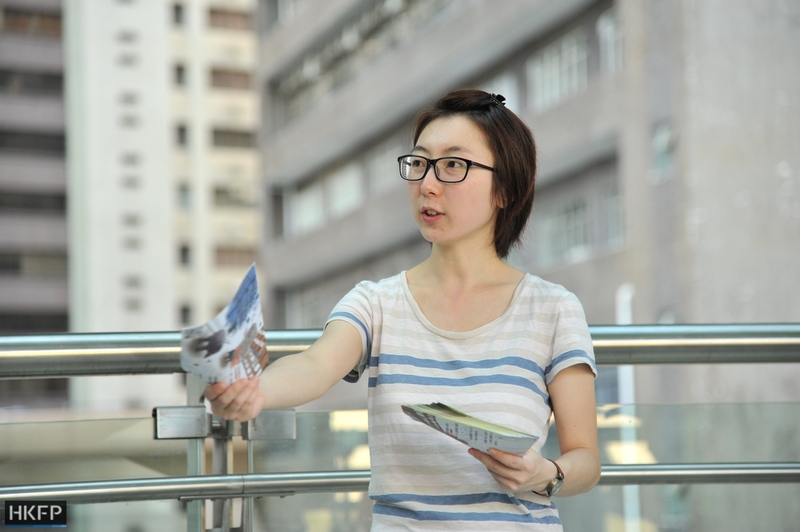 As a small team with only six core members and some volunteers, the activists distribute leaflets in local communities around twice a month and organise ad hoc campaigns. 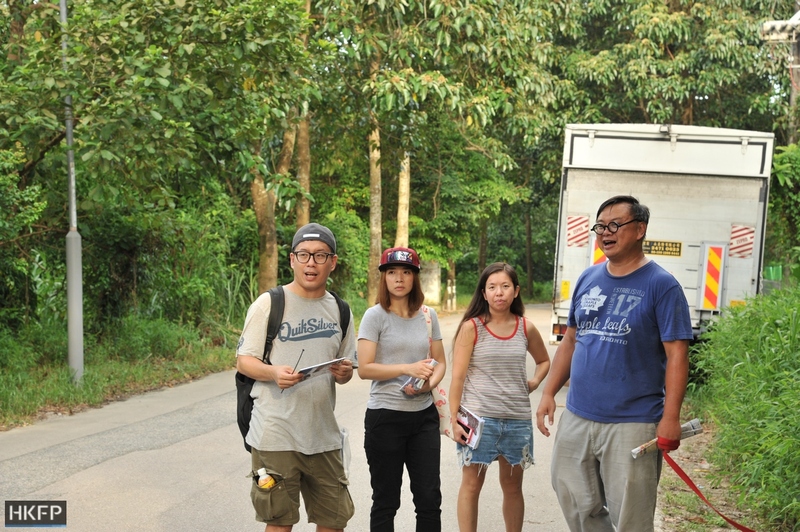 Last week, the concern group visited a popular wild pig feeding spot in Wong Chuk Hang in the company of Democratic Party District Councillor Tsui Yuen-wa. 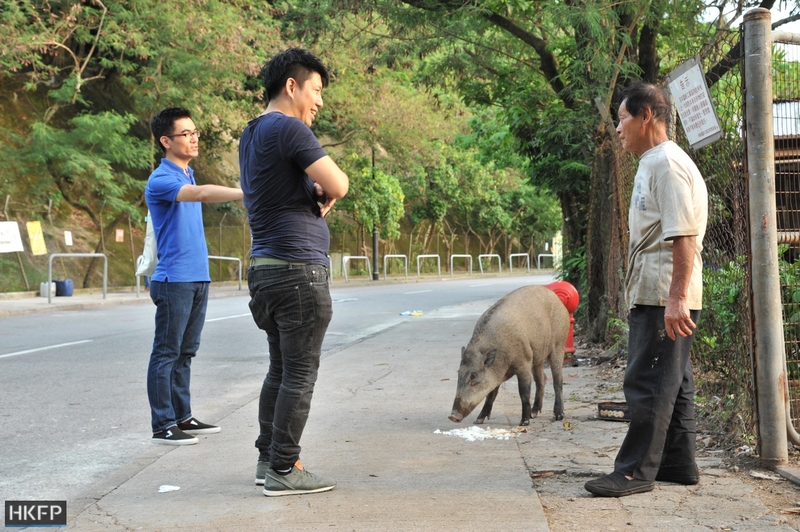 As soon as they arrived, they saw an elderly man give leftover food to a wild pig. The man – while giving the animal a pat and calling its name – said he fed wild pigs every day. He was adamant when Wong and Ho tried to talk him out of feeding wild animals. While Tsui said he would like more law enforcement action against feeders, Wong said the better approach is to befriend and persuade them. Wong said he would return another day to speak to the elderly man. The activists want to engage more district councillors owing to their influence in local affairs. 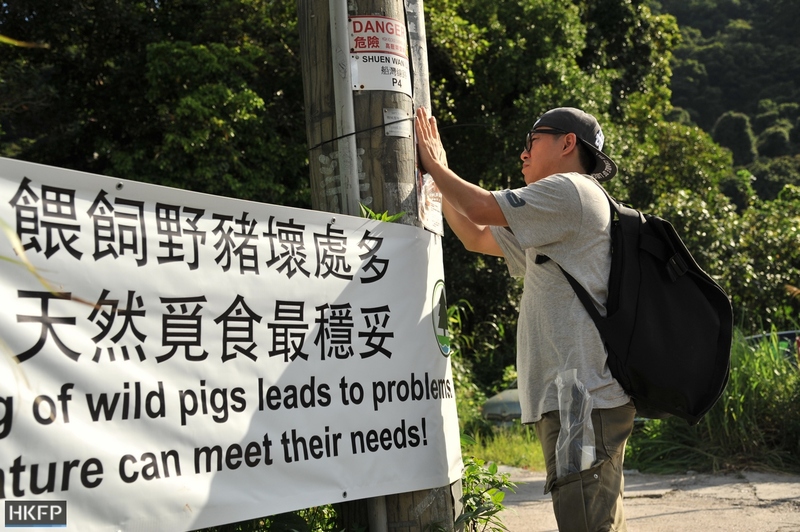 “Once district councillors complain to the government, the wild pigs will not be able to stay,” Wong said. This is what happened in Tung Tsz Village in Tai Po last month. 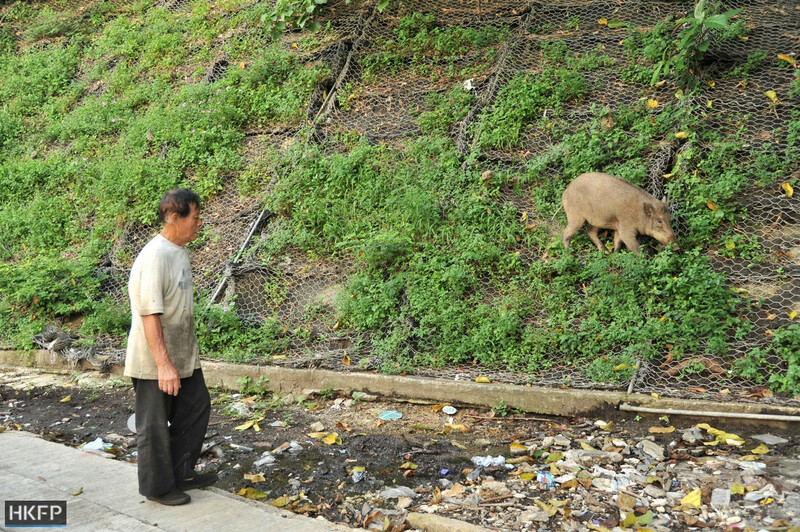 The AFCD took away two wild pigs after district councillor Lau Chee-sing expressed concern that they were raiding garbage. 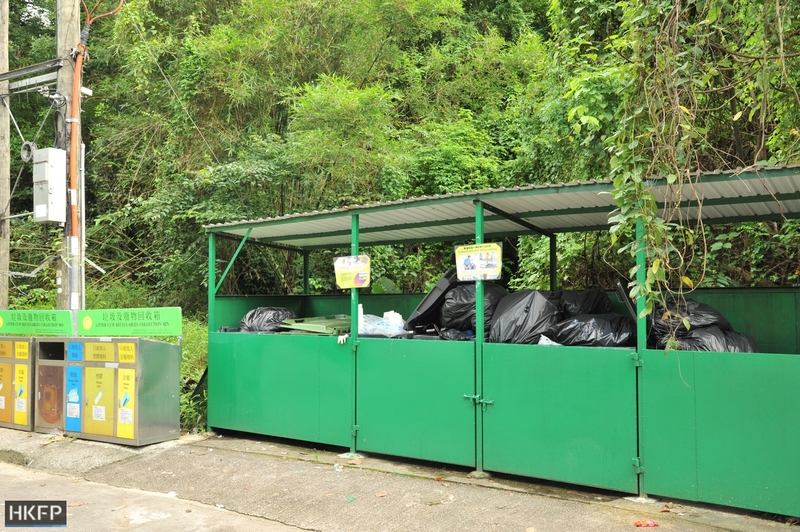 Villager Erica Li told HKFP that she and some villagers were against the decision, as the problem could have been prevented at the early stage by placing enclosures around rubbish bins and tackling the issue of feeding. Li (second right) and another villager who opposed the AFCD decision (right). Photo: HKFP/Arthur Lo. She also accused Lau of ignoring her when she confronted him during the operation. 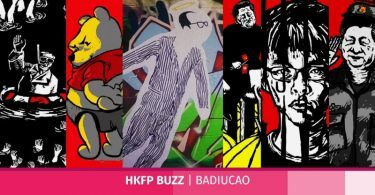 Lau told HKFP in response: “The AFCD operation could not be halted just because of one person. I was stuck in the middle.” He said he had to “be balanced” and answer the demands of those who complained. But Wong is hopeful as public acceptance of their work grows and their alliance expands. Li teamed up with the group to distribute leaflets in the village following the operation. Tsui, the district councillor, plans to continue working with the activists and use the influence of his party colleagues in the legislature to arrange meetings with decision makers. Wong Chuk Hang district councillor Tsui Yuen-wa. Photo: HKFP/Arthur Lo. “I consider wild pigs as community animals. 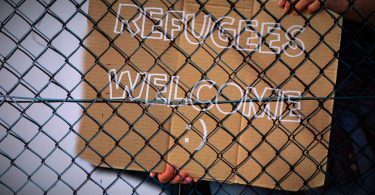 If there are no conflicts between them and people, they should be allowed to stay here,” Tsui said. As for the activists, they are motivated by a strong belief in equal animal rights as they try to make change happen one leaflet at a time.